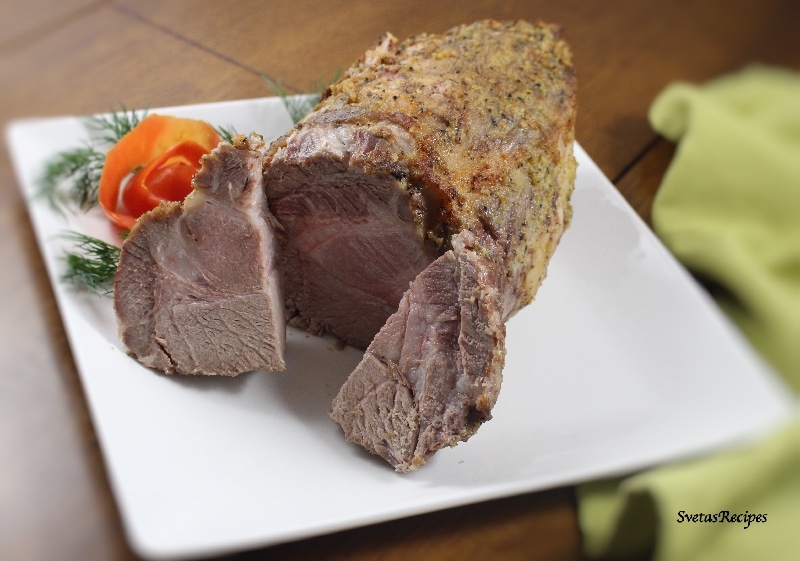 Tender pork meat is marinated in a delicious mustard marinade and roasted in the oven. 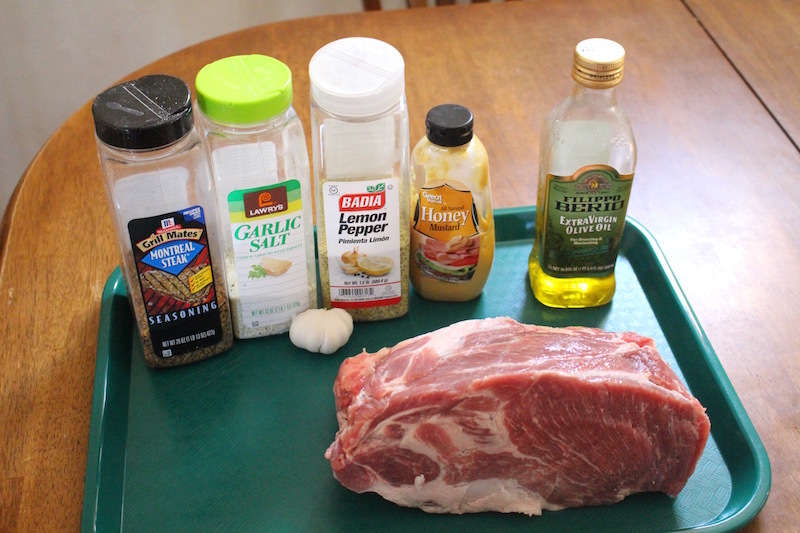 This pork recipe is easy to make and is tasty! 1.) In a smal bow combine Olive oil and your seasoning (Garlic salt, lemon pepper, etc.) and mustard. Also Preheat your oven to 450F. 2.) Now add crushed garlic and mix it together well. 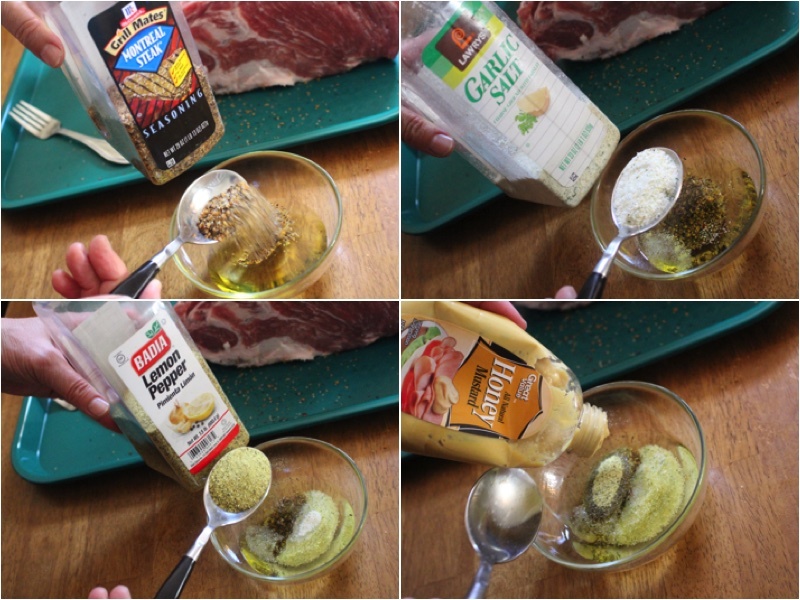 Coat your meat on the top and all sides with your mixture, next wrap it with tin foil. 3.) Let it sit for 4 hours in a fridge (Cold Area). Cook for 2 hours on 375F. 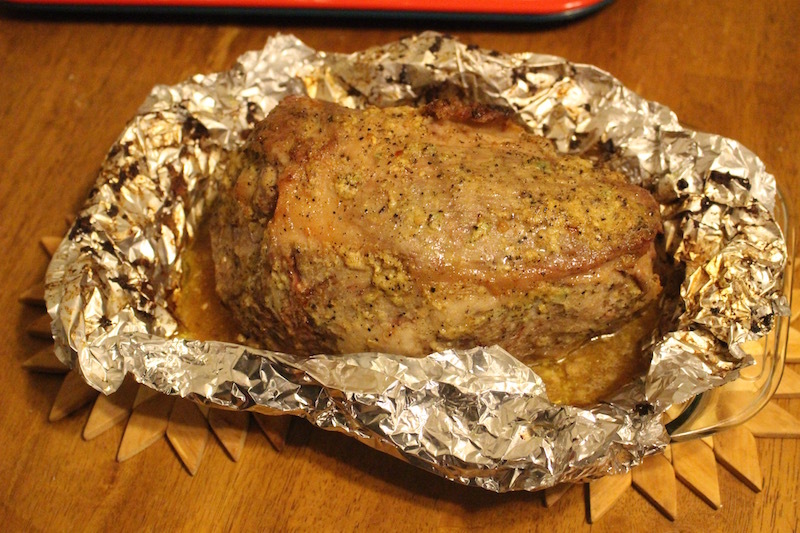 Then minutes before its done roasting, take it out and unwrap it, also pour the juice that came out of it on top. 4.) Re warp it and let it roast for the remaining 10 minutes. 5.) Place on a serving dish and enjoy. In a smal bow combine Olive oil and your seasoning (Garlic salt, lemon pepper, etc.) and mustard. Also Preheat your oven to 450F. Now add crushed garlic and mix it together well. 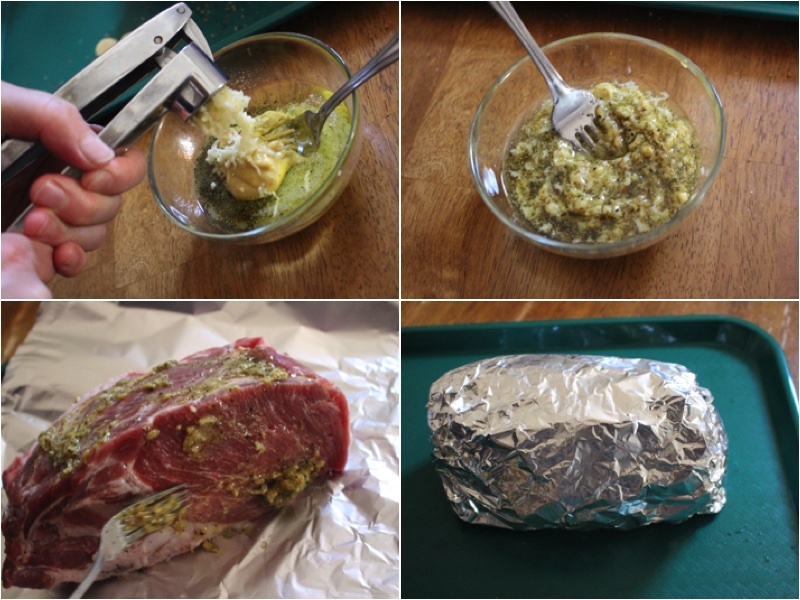 Coat your meat on the top and all sides with your mixture, next wrap it with tin foil. Let it sit for 4 hours in a fridge (Cold Area). Cook for 2 hours on 375F. Then minutes before its done roasting, take it out and unwrap it, also pour the juice that came out of it on top. Re warp it and let it roast for the remaining 10 minutes.